Juri StrumpflohnerFollow Juri is a full stack developer and tech lead with a special passion for the web and frontend development. He creates online videos for Egghead.io, writes articles on his blog and for tech magazines, speaks at conferences and holds training workshops. I always had the idea of having some kind of organized store, some kind of very simple knowledge base where I could memorize interesting stuff around software development which I encounter i my day-to-day business. A wiki wasn’t suitable as it should be centered mainly around code, but still you should have the possiblity to add your text-based notes or a collection of links. When I started with my studies at the university about 7 years ago, we learned Java from ground up. And to be honest it was the first real programming language I learned, with all its concepts around object oriented programming and so on. Even though I had already created my personal utilities with VB and VBA at that time…That was when I started Code Notebook, a project to incorporate my need to store my code snippets and at the same time a very nice project for being able to directly apply the learned stuff. Then there came the time for Eclipse and its RCP platform and everything related to it. That port of Code Notebook to Eclipse was purely experimental and all-in-all a playground for me to experiment with the RCP platform. From an architectural point of view an amazing construct with its plugin architecture and decoupled messaging system. From a programming perspective…puh…a steep learning curve! Code Notebook worked just great and I used it a whole lot. But then came the time when I got fascinated for the web and the possibility to create rich client (GMail-like) web applications. I started to play around with GWT and it was when Devbook, the evolution of Code Notebook for the web, was born. The client was written in GWT and hosted on Google App Engine. That was also the time when my series of posts about it emerged on my blog, some of which turned out to be a real success (based on the number of visitors). Unfortunately Devbook mainly remained an experimental project. I heavily used it for my personal needs, but due to time constraints (at university/work) I never really opened it up, but it remained in - what you could call - private beta. GitHub Gists have existed already for a while and I also used them occasionally. But so far it never seemed quite complete in what it offered. 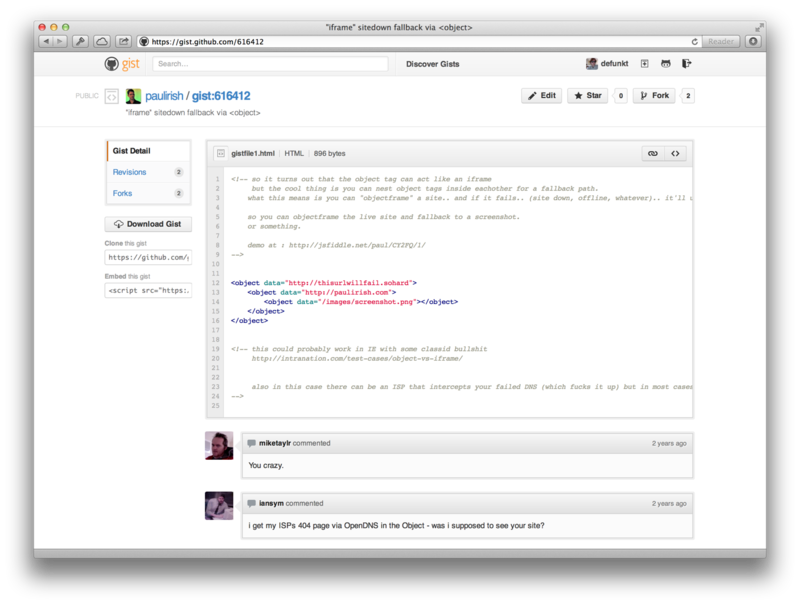 A couple of days ago, GitHub announced a new release of Gist, a complete rewrite. At it looks awesome in my opinion. It really incorporates now many things I’ve always wanted and which in part I already implemented in the Devbook GWT client: it is centered around code (having a fully functional git repo under each gist), it has social features (sharing with others through commenting) and it is also flexible enough to not only place code, but also simply textual information (in the form of markdown gists). But read it yourself on their blog post. So, enjoy Gist and keep sharing code! A new app has been released: GistBox. This is exactly the thing I always wanted to arrive ultimately but never had the time to realize it. Amazing piece of work.